Harry was born June 5, 1869, the son of Captain James and Cornelia (Patton) Dowler. His early education was obtained in the public schools of Clearfield County, and in 1894 he graduated from the Pennsylvania State College in Mining Engineering. His first position was with the Mitchell Coal Company of Tyrone, Pennsylvania, where he remained for four years. During this time, he also served as First Lieutenant in the State Cavalry, 2nd Sheridan Troop. From 1899 to 1900 he was employed in coal operations at Glen Campbell, and then went to Pittsburg, where he started dealing in coal and timber lands. 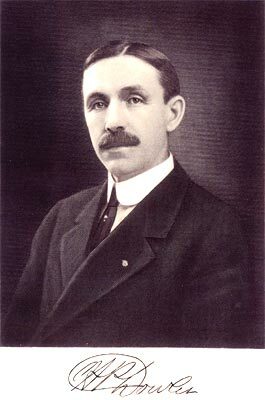 In 1906, he accepted the position of Superintendent of Mines for the Penn Mary Coal Company in Heilwood. While employed in Heilwood, Dowler began a safety program whereby each mine not only had a facility for first aid and rescue, but the employees also received training in first aid. In addition, he had specific teams from the mines undergo extensive training in first aid and mine rescue. These teams participated in annual meets with other coal companies, winning many awards for their proficiency. In 1914, the entire Penn Mary Coal Company operation in Heilwood was purchased by the Cambria Steel Company of Johnstown, and all upper management positions were terminated. Mr. Dowler then moved his family back to Clearfield, Pennsylvania.